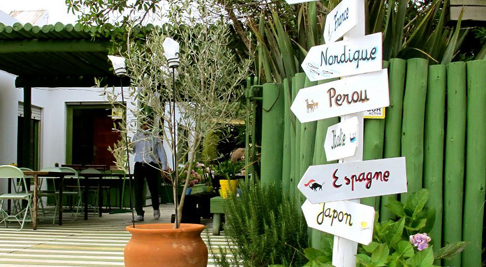 Along the main square of Jose Ignacio village, La Bourgogne chef Jean Paul Bondoux does a stylish gourmet market and all-day café that’s a welcome addition to local dining. A covered courtyard is lined in green and white striped-wood planks with bistro tables arranged in rod iron chairs and sea of ridiculously large hydrangea plants. Inside, a series of glass counters connect an epicurean market of to-go and eat-in specialties. Upstairs, a rooftop terrace offers an ideal setting, on cooler days, for lazy breakfast of homemade croissants and afternoon lunch. 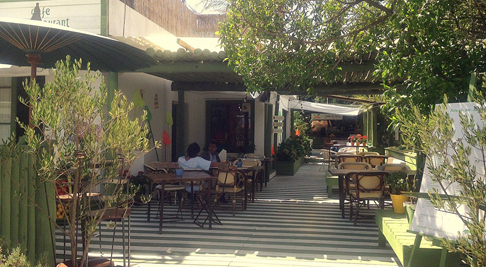 Stylish all-day market by one of the region’s top chefs offers café eatery in Jose Ignacio. 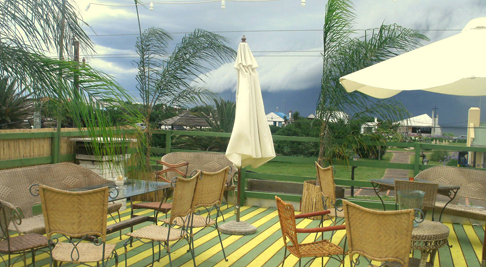 An in-house bakery features a Uruguayan spin on traditional and filled croissants with egg dishes, cereal bar and juice selections through mid-day. Afternoons and evenings offer more of a traditional menu with incredible pates, salads and traditional French dishes in a casual setting.